What parent doesn’t want help with the housework? 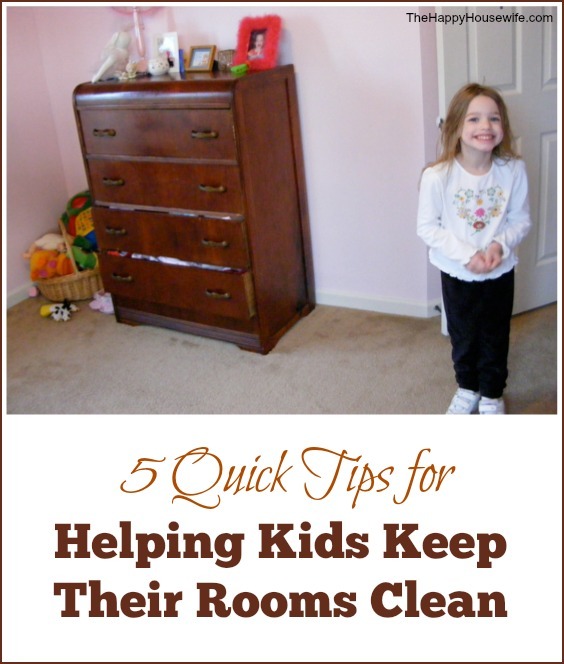 Kids rooms, especially, are one of the banes of a happy household. They get messy faster than you can say, “How was your day?” Sure, you can shut the door on the messes, but you know they’re still there. Rather than curse or cajole, set your children up for success by putting systems in place that help them keep their domains under control. Get your kids a comforter! A comforter is much easier to smooth on the bed than layers of sheets and blankets. Putting a washable comforter cover on their bedspread makes for easy making in the morning. Place a row of hooks by the bedroom door for bath towels, coats, back packs. Hooks are easier for little ones than towel racks. When placed at their level, it makes it a snap for them to use. No more junk on the floor! Make it easy for kids to put away their clothes. Too many clothes make for crowded drawers and closets, which, frankly, just equals a mess. Reduce the number of garments in your child’s wardrobe; 5 shirts and bottoms are a good starting point. Adjust for personality and your laundry schedule. But, fewer items that go in the drawer or closet make it much easier for kids to hit the target. Make wastebaskets available in each bedroom and encourage kids to use them daily and to empty them weekly or when full, whichever comes first. 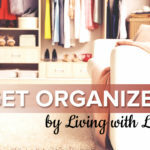 Find that your children are a little sentimental and that their “keepsakes” are overflowing from every nook and cranny? Give each child a clear plastic box (you determine the size) in which to house their precious possessions. When the box is too full to close the lid, it’s time to downsize. Work together to sift through the unwanted items so that what is kept is really a keepsake. Jessica Fisher, also known as FishMama, is a happy home and family manager. 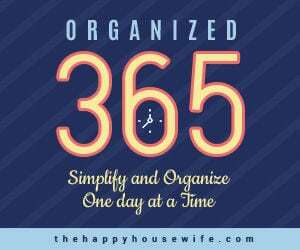 A mother of six, she regularly writes about fun, frugality, and the pursuit of clean house at LifeasMOM. love the keepsake box idea!! Also, the clothing downsizing idea. I never really thought about doing that much “thinning out” of clothes. (We have 3 boys and 2 girls, with a new baby due in November.) Thus, we have tubs and tubs of kids’ clothes – and since we moved recently I did some weeding out. But, I certainly could do more. Thanks for the tips! And, for sharing your “story”. Can’t wait to read more. We also make straightening up daily part of the children’s routine. The younger kids do it at night before going to bed, my older daughter does it in the morning before leaving for school. Great tips! I think we’ll be tackling the clothing tomorrow-every drawer and inch of closet space is full to the point that I cringe when bringing in clean clothes. Great tips! I have a “pack-rat” 8yo daughter who also loves to have all her trinkets set out in her room. It drives me crazy. Maybe I should get her a curio with a door, ad make her keep everything in there? I just usually sneak into my kids rooms when they are not around and purge some of their excess stuff! This list is perfect! I love it. I am off to buy trash cans, lol. We do the keepsake boxes and my kids love that. I agree about the comforter thing. Never leave home without one!! My kids would be sad if they had to throw away a keepsake or school project like a science board, diorama, puppet, etc. Obviously we can’t keep everything so I found a solution that makes everyone happy. I take a snapshot of their projects or record them on on video camera talking about the project. They know this is a way that they can keep their memories without the clutter! It’s also nice to have a picture of school projects for school records. These are great tips. I have come to the conclusion that even though my children clean their room every day, it needs a “mama cleaning” once every few months. Once I suffer through cleaning it, and get rid of the obvious junk, and leave a pile for them to go through, it is SO much easier for them to keep it clean. At least for a while. We live all over the house, but we expect them to pretty much keep all their belongings in one room (that they share) so it stands to reason that it gets bad fast. I think it is so important though–it’s their little training ground for their own homes. If you sew loops (or check for them when purchasing) onto clothes and towels, they stay up when hung on the loops, rather than ending in a heap on the floor. Some children, no matter what you do, will create worlds in their rooms. They will have cities and towns and forests. It takes them hours and days to put them together. These will be your writers, artists planners, architects and engineers. Recognize these children and nurture them. Give them some surfaces that can remain untouched for long periods and give them clear under bed boxes to build cities in that slide away under the bed at night. Plastic sets of drawers become high rise apartments. “Friday is dismantle day, Saturday is cleaning day” was the rule in our house for anything built on the floor or bed. Little sturdy shelves built onto the wall at child level proved to be invaluable.